Social Sentinel, a Burlington-based company that identifies threatening content on social media, was among the winners of the 2018 Tech Jam awards, presented last Friday at the 12th Vermont Tech Jam. The prizes, given annually by the Vermont Technology Alliance, BTV Ignite and Seven Days, recognize leaders in the state's tech ecosystem. Social Sentinel won the Innovation award. Burlington Code Academy, a 12-week coding bootcamp, won the Startup award after triumphing in the LaunchVT competition in the spring. Maureen McElaney, founder of the Burlington Chapter of Girl Develop It, is the area's top tech ambassador. 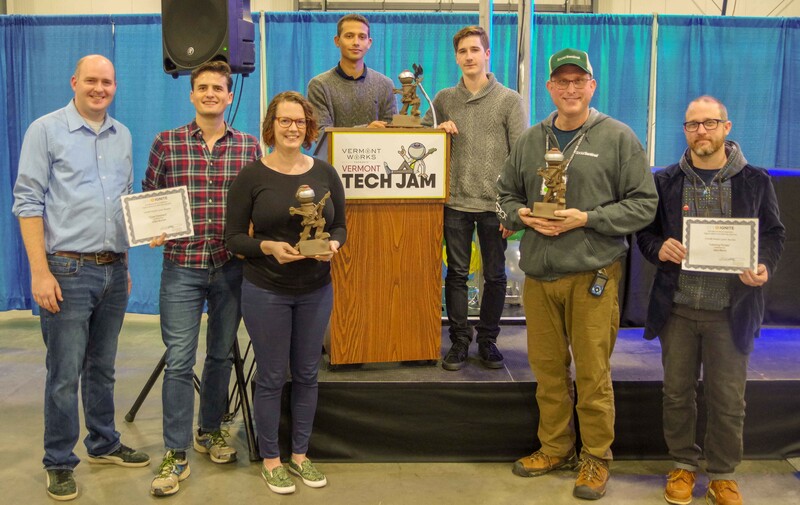 Each received a statuette of the Tech Jam mascot, handcrafted by clay artist John Brickels. Also honored from the podium were the winners of BTV Ignite's first Reverse Pitch award, who each received a $10,000 grant to pursue their work. The prizes went to Code Shepherd, a teaching platform that brings subject matter experts, teachers and students together via a live video chat, and Learning Portals, which uses augmented and virtual reality technologies to let learners join classrooms and other experiences remotely — in the case of extended illnesses, for example. 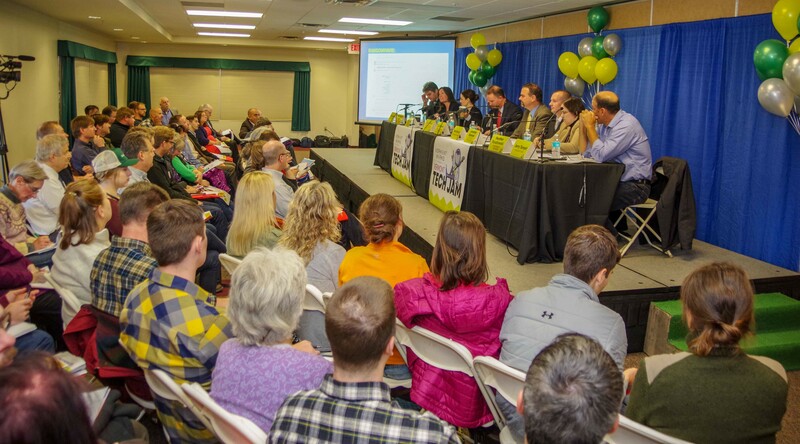 The awards ceremony was the culmination of a busy day at the free career and tech expo organized by Seven Days and presented by Vermont Works, an independent alternative investment firm supporting Vermont's job and economic development. Representatives from more than 50 companies and colleges talked with hundreds of attendees who walked the expo floor. Meanwhile, workshops and presentations in the conference rooms upstairs addressed artificial intelligence, building a career in Vermont and new innovation developments in Burlington and Springfield. Attorney General T.J. Donovan led a sold-out session on how to respond to a data breach. Jeff Couture, executive director of the Vermont Technology Alliance, said he talked with job seekers from across Vermont and outside the state at the event, "including someone, suitcase in hand, who visited from North Carolina." 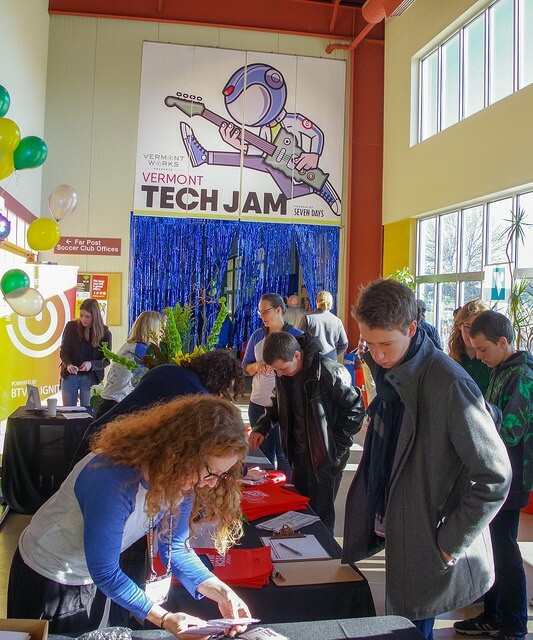 Find more information on Vermont's tech community — and next year's Innovation Week and Tech Jam — by subscribing to Seven Days' weekly tech newsletter.